I’ve been a volunteer for Caritas for just over a week. I live in Sendai with my mother and four cats. Normally, I study American modern history at graduate school and I’m a part-time instructor in a college, but that has all changed for the moment following the earthquake and tsunami. As I am a Catholic I decided to help Caritas Japan in their earthquake relief effort. It gives me great pride to be part of an effort based on Catholic teaching. The power of the earthquake was a big shock to us – all that shaking! But what has really surprised me is the big difference between the stricken areas and the safe areas, where buildings aren’t even damaged. The most serious damage was not from the earthquake, but from the tsunami. Such a fine line has divided people’s fates. In some small areas there are two different worlds living side by side – one of complete destruction, and one where every looks normal. 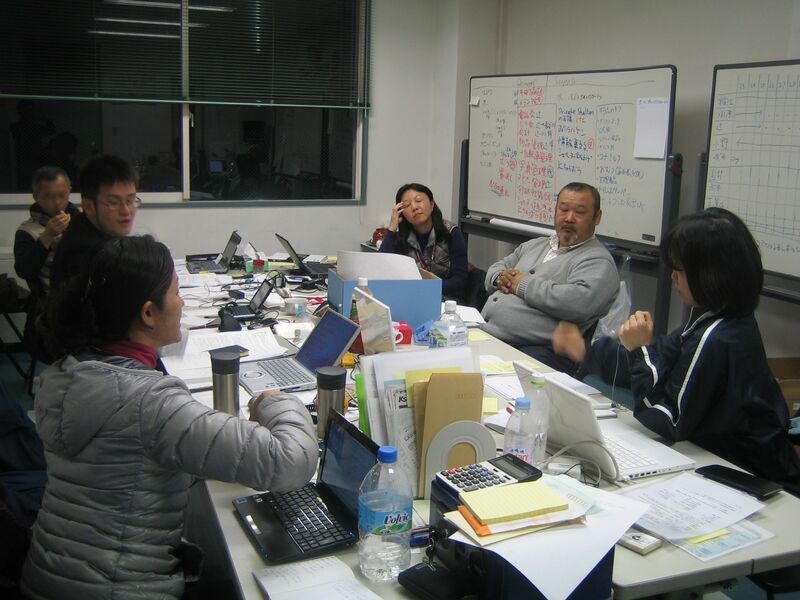 Caritas Japan immediately offered help in the Sendai area following the earthquake and tsunami. They’ve been giving out blankets and providing people with food. They are also going to help people by providing trauma counsellors once the immediate emergency is over. I am in charge of the counselling volunteer team. I am currently involved in the planning to send volunteers out to shelters and people’s homes to provide psychological support following the disaster. People seem to be coping quite well following the disaster. They help and encourage each other. There is a sense of love and order, even in such a difficult situation in which people can’t return to their homes and they don’t know what tomorrow will bring. I think the disaster gives people a chance to reaffirm their humanity and their love for each other by empathising with and helping the disaster survivors. We’d like people in other countries to follow what is happening in Japan and to also pray for us.